Retirement is one of the biggest changes you’re ever going to make. Too often I see people retire, then wish they never did it. They’ve not thought through some of the changes that are likely to happen. You’ve spent your entire adult life working. Now, it’s time to move from your job into retirement. You’re going to need to define what retirement is for you. If you’ve saved a reasonable amount of money retirement probably has lots of options. If you haven’t saved much some type of retirement job is going to be part of the deal. In all cases you need to know what your actual retirement lifestyle is going to cost. This means you need to prepare a realistic retirement budget and see how it lays out. Be prepared for the phone to stop ringing. If you’re planning that your retirement years are going to include hanging out with your old co-workers you need to think again. When you leave your job, the phone will stop ringing. You’re going to need to have other people and other activities that will keep you engaged after you stop work. I know this sounds harsh; it’s just the way it is. You’re going to need to build new friendships. This is one of the most difficult things to do in retirement. This is because part of the deal when you leave your job is the phone will stop ringing. Make sure you know what your living expenses are. When you retire you might be lucky and have a company sponsored retirement plan that will kick in. More likely you’re going to plan on spending money you’ve saved either through your 401(k), your IRA or just plain old savings. You’re also going to probably have an option to take Social Security payments. I want you to really think about when you’re going to take Social Security. I believe that you will want to carefully think about taking early payments versus waiting till you’re 70. The analysis is worth your time. How do you plan to fill your days? You’ve spent about 2,000 hours working a year. You need to really think about how you’re going to fill that time. If you include driving back and forth, the amount of time is likely closer to 2,700 hours a year. This is another place where you’ll want to actually write down what you plan to do and how much time it’ll take you. You’re going to find out pretty quickly that playing golf and doing chores around the house won’t fill all of the time you have available. Many people will think about selling their house and moving someplace else when they retire. You might have grandchildren in a different part of the country. If you want to be close to them, make sure you think about building a new life for yourself. Your children and grandchildren will get tire of you hanging around pretty quickly. You might have health issues or be concerned about health issues. If so, do you need to make modifications to your home? If you want to move to a less expensive house, does it make sense to also move to a less expensive state? These are all things I want you to think about when you plan for your retirement. 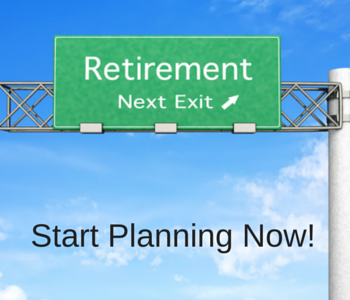 Finally, we get to the big question…….If you can’t afford to retire, should you? In many cases you might be eligible for retirement and your company might be very happy for you to stay. The longer you work, the less savings you need for retirement. You want to make the decision before you leave your job. When you’re over sixty years old finding a job that will pay the same amount of money as the job you have now might be difficult. Spend some time really analyzing whether you can afford to leave. You’ll be glad you did.